With the New Year comes the opportunity to start fresh. Most people jump on the bandwagon of setting new intentions and resolutions for themselves, which is great! But sticking to these resolutions and actually meeting goals is where many of us fall short. This year, we want to look at how positive psychology can help you stick to your goals more effectively, even when it comes to setting and attaining financial goals. The PERMA model is an acronym for five elements of positive wellbeing that contribute to our happiness. By having these five elements aligned, it’s easier to maintain a level of wellbeing that can even be extended to your financial wellbeing. Each element is as important as the other. When we apply each of these elements to our financial wellbeing, it looks something like this. Positive emotion can be applied to every aspect of our lives. When we feel good, good things happen for us. We need to satisfy our most basic human needs (food, shelter, income) first and once those are taken care of, thinking positively about everything else in our lives can contribute greatly to our wellbeing. The same applies to our financial state of being. When finding ourselves in a negative financial situation, thinking about it in a positive light makes it so much easier to cope with. If you find that you are not making ends meet, focus on what you can actively do to change that to turn it into something positive. For example: cut back on take-away foods or cold drinks for a month and put the saved money towards paying off debt. Knowing that you’ve actively done something positive for your financial situation can help you see it in a more manageable light. When you are fully engaged in your life, you are in flow. If you are fully engaged in turning your finances around for the better, you will get more satisfaction from actively making this happen. Being engaged in changing your financial situation and improving on it can come from many different angles. By creating a budget that clearly shows your income, expenditure and allowable extras is an example. 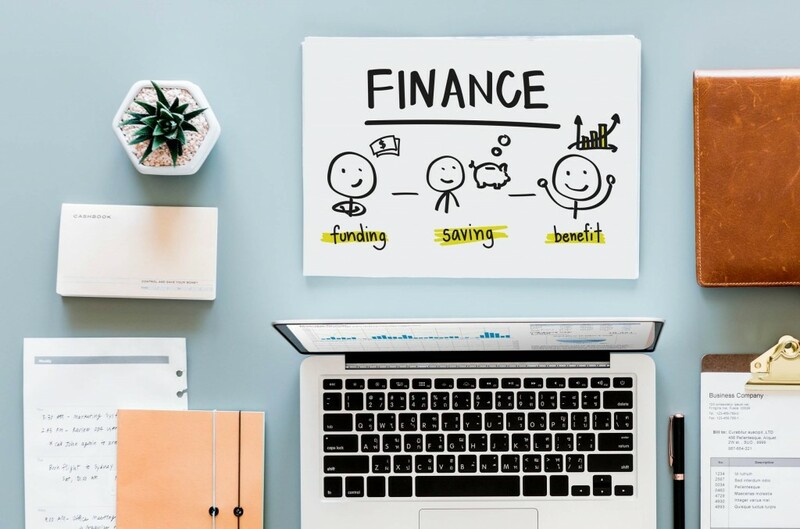 By detailing how you manage your finances in such a way and by living it, you are fully engaged in creating a positive financial future for you and your family, which makes you feel positive about the direction you are headed. Relationships of all kinds – with family, friends, colleagues and the stranger at the grocery store checkout – should always be authentic. By living authentically and treating people around you with kindness and respect, you are living with positive relationships. Applying this to your financial state of wellbeing can mean being open and honest with your partner about how you spend money and what needs to change. You also need to be authentic in your relationship to money. Not abusing credit is one step in the right direction, not spending more than you have is another. Having a positive relationship with money can also be a simple act of showing gratitude for your income and for the things it allows you to do in your life. Look at how money is offering you a lifestyle that you love, and where it isn’t, how can you change that to your advantage? Having meaning in your life is so important and it contributes greatly to your personal happiness and wellbeing. Knowing that you have a purpose makes every day worthwhile. Applying meaning to your financial status is equally as important because it shows you where and how your income contributes to happiness in your life. Yes, we need to pay bills and we need to cover expenses, but these expenses contribute to our happiness. The car we drive instead of having to walk, or the taxi we catch instead of having to ride a bicycle. This offers meaning to the money spent on transport. The money we spend on groceries offers us nutrition and satiates our appetites. Money spent on electricity and water gives us the opportunity to live in comfort. Look at how your finances contribute to meaning in your life and you will see how each rand spent can be worthwhile in the most significant way. It also helps you notice the importance of where you spend those rands. Throwing them away on cigarettes or alcohol is less meaningful than spending it on a day out with family. Achievement speaks to challenging oneself in a way that we create success in our lives. We all want to achieve certain things, and when we do, we feel very happy about it. When we achieve the goals we set out for ourselves, we feel good about it and this gives us a renewed sense of confidence. Setting micro-financial goals that are achievable is the key to success, because with each micro-goal met, you feel a sense of achievement and self-worth. Micro-goals can be as simple as saving R100 this month to put towards a personal gift. Or it can be something like earning a set amount of commission, or even selling old belongings so that you can put some extra money into an investment account. By creating small goals that can easily be met, you will always be meeting an achievable standard that will contribute to your overall sense of wellbeing. How can you apply these pointers to your financial wellbeing? Start today and see how using positive psychology can help every aspect of your life.